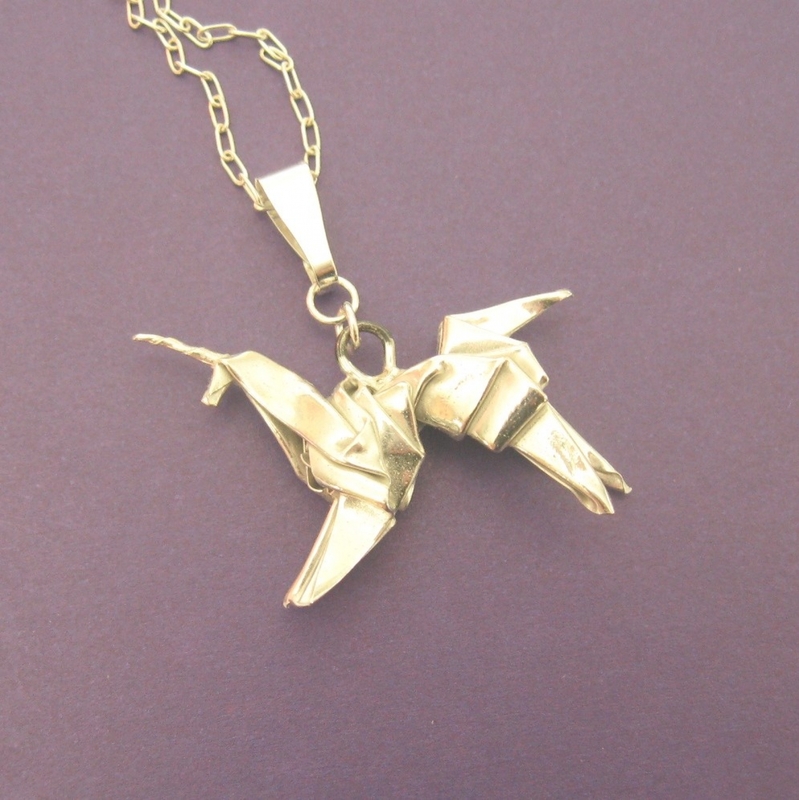 If you've seen the movie Blade Runner, then you know the significance of this origami unicorn. 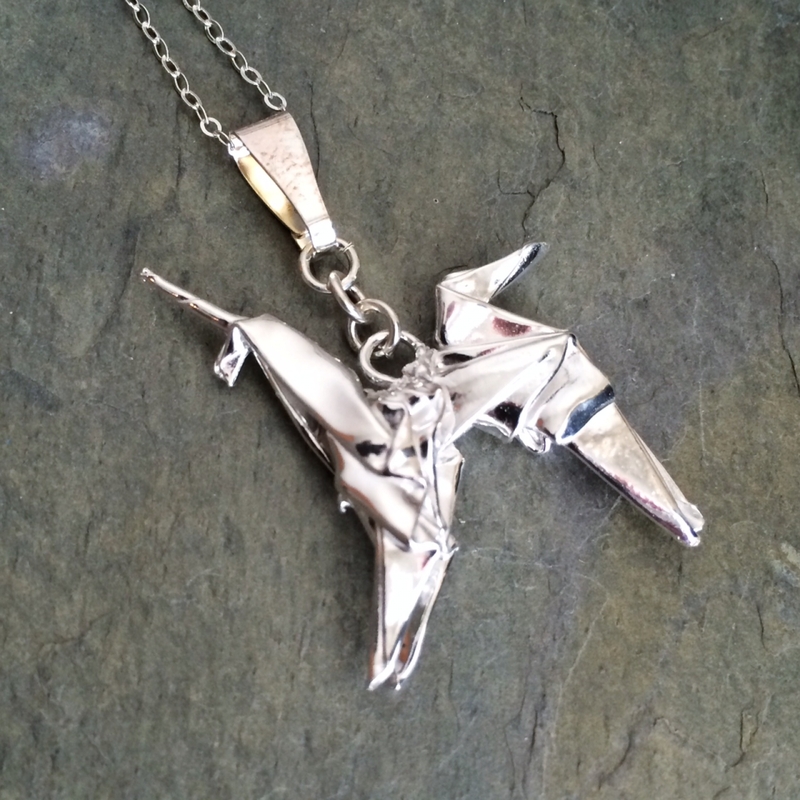 I've tried to duplicate the exact model from the movie in .999 fine silver, and turn it into a pendant. 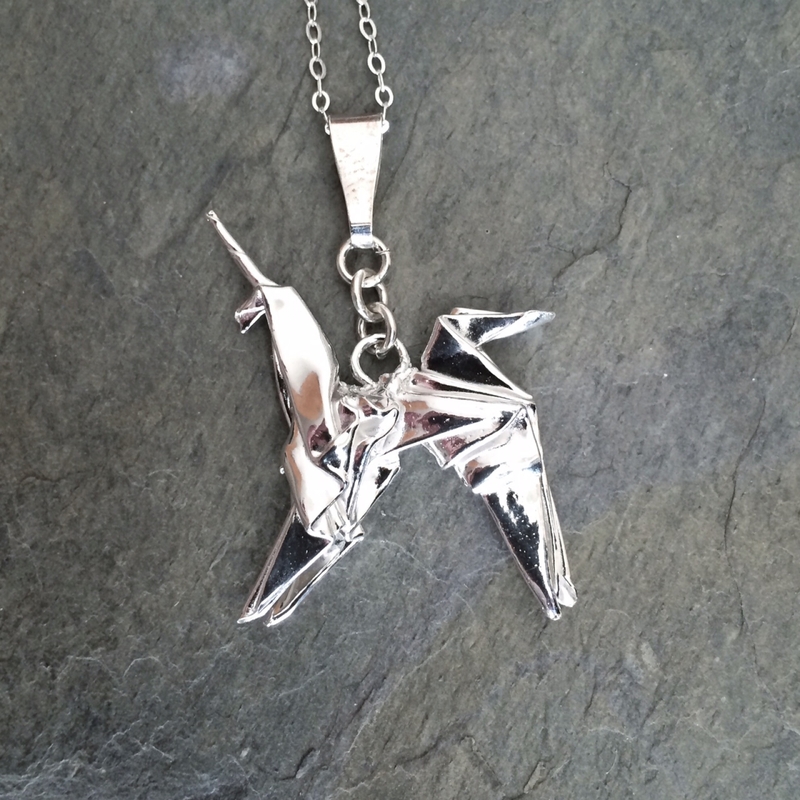 Over 40 folds transform sheets of silver into a perfect little unicorn. 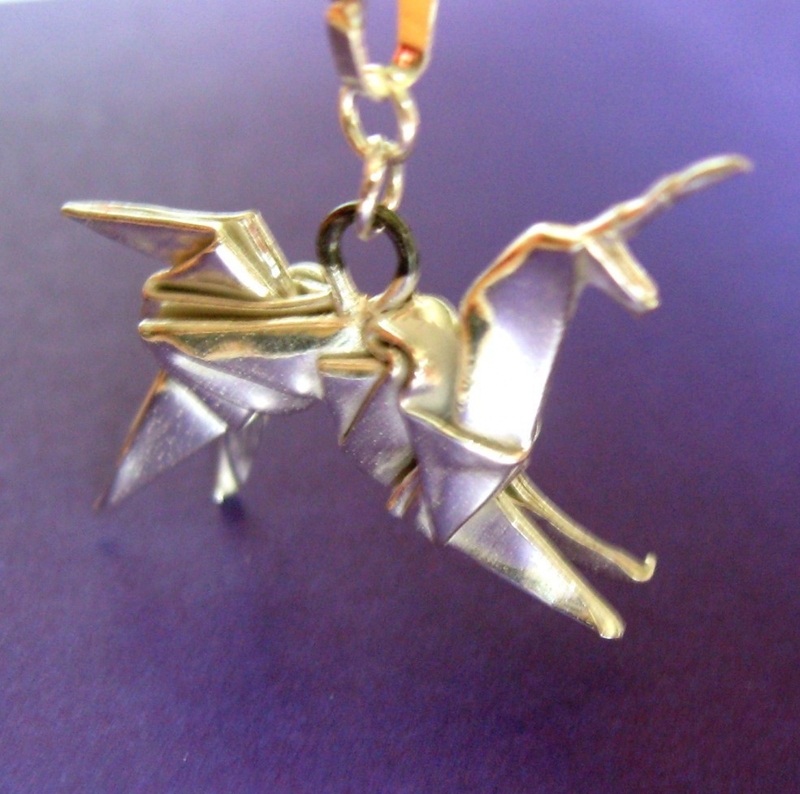 This pendant is folded from sheets of fine silver, then kiln fired and highly polished, using the exact same folds you would use with paper. It is approximately 1 1/2 inches long, and weighs just under 5 grams. Comes complete with bail and 18 inch sterling silver square link chain, as shown. Due to high demand, please allow three to five days to ship. Ships in a tissue lined jewelry box, perfect for gifting.